Google Play version 11.6.15 was found to contain a few lines of code that tip a forthcoming loyalty programme or rewards programme called Play Points. This is designed to bring points that can be used to purchase some special in-app items or simply Google Play credit. The latest move is apparently a part of the strategic steps by Google to enhance purchasing on Google Play. This makes sense as the official Android app store is presently far behind from Apple App Store when it comes to revenue, despite being ahead in terms of downloads. In addition to the loyalty programme, an APK teardown of Google Play version 11.5 reveals that there is a feature in the pipeline that is designed to help users cast votes. Among other features, the latest Google Play app was found to have some text strings highlighting Play Points. The code, as spotted by Android Police, suggests that the Play Points will work as reward points that will be given to users once they purchase an app from Google Play. Once received, the users will be able to use the points for in-app purchases and Google Play credit. "Earn points on everything you buy. Use points for special in-app items or Google Play credit," one of the strings read. Some strings also point to the availability of some levels and level benefits. 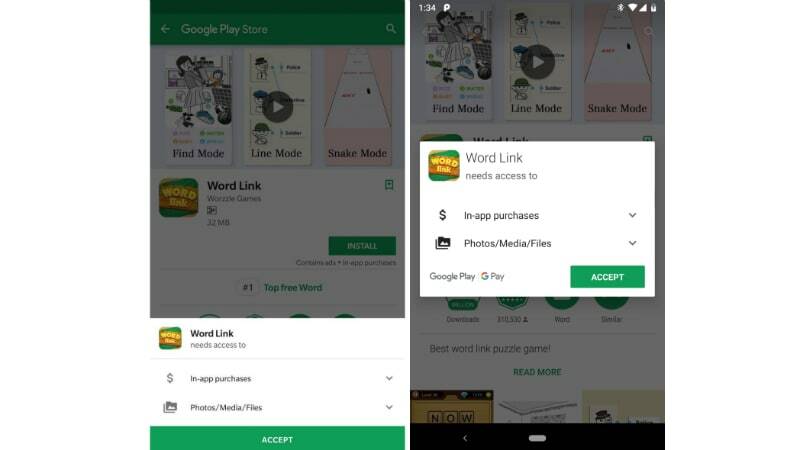 We can presume that these levels could help Google Play segregate users and persuade users to make new records that could be shared over social media. Folks at XDA Developers report that there will be five different levels, namely Bronze, Silver, Gold, Platinum, and Diamond. However, the benefits for these different levels are yet to be revealed. Getting deeper into the code shows that Google could use a model in which it will give users 1 Play Point for every JPY 100 (roughly Rs. 65). The model could vary from region to region, based on local currency. Apart from the presence of Play Points, Google Play version 11.5 also tips a feature that enables voting functionality. There are strings suggesting the feature to let users cast votes on Google Play. Further, it has been found that there will also be some winners. The voting feature might be deployed to pick the best-voted apps or games from users or to select while apps or games to be available on sale at the time of any special events. Separately, it has been found that Google is testing a new interface to show permission requests on Google Play. The app store generally shows permissions on a pop-up screen. However, a screenshot by a Twitter user has shown that the company is testing the permission screen in the form of a bottom card. The latest Google Play version is rolling out in phases. Nevertheless, you can download an APK file of the updated package directly from APK Mirror.